"I saw this kid and tears rolled down my cheeks. The lady at the top right corner is that kid's teacher. 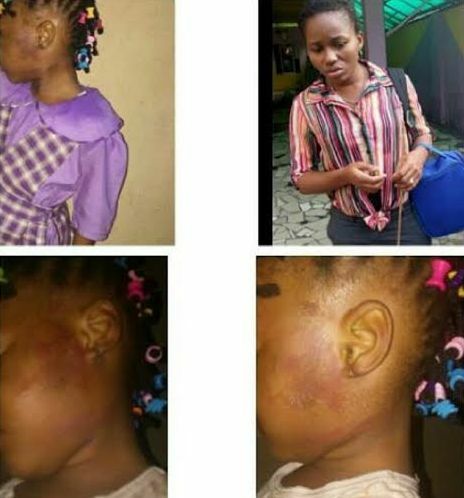 She flogged her mercilessly just because the 4 year old girl did the class work wrongly. 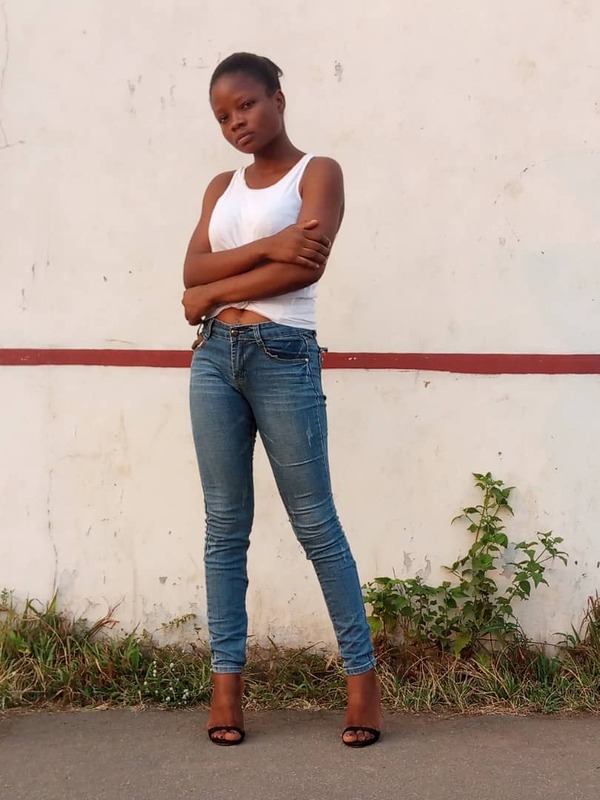 The teachers name is Mrs eno, the proprietress name Mrs lagunoke and the school is Lydia spring private school, located at Popo street, tejuosho, Yaba Lagos. The little girl was flogged by her eyes and now has a red eye as the cain struck her left eye. She's had swollen and reddish skin due to the flogging . This is mean , no one should do this to little kids while trying to teach them at their respective schools . 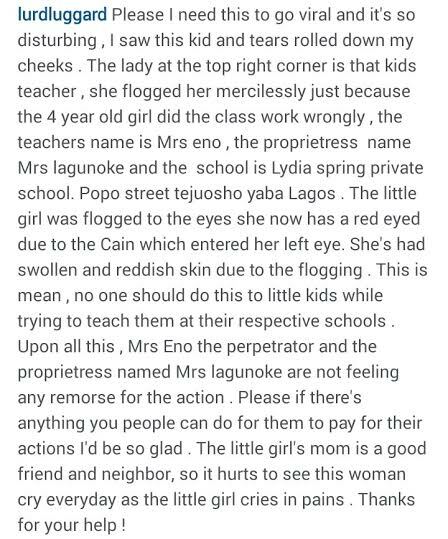 Upon all this , Mrs Eno the perpetrator and the proprietress named Mrs lagunoke are not feeling any remorse for the action . Please if there's anything you people can do for them to pay for their actions I'd be so glad. Her mom is a good friend/neighbor and it hurts to see this woman cry everyday as the little girl cries in pains."